Not long ago a former client died. I received a letter with a copy of her will. She left some funds for South Mountain to do two community projects – one to help the Vineyard affordable housing effort and another to do an educational demonstration about solar energy. The amazing thing: she was not wealthy at all. 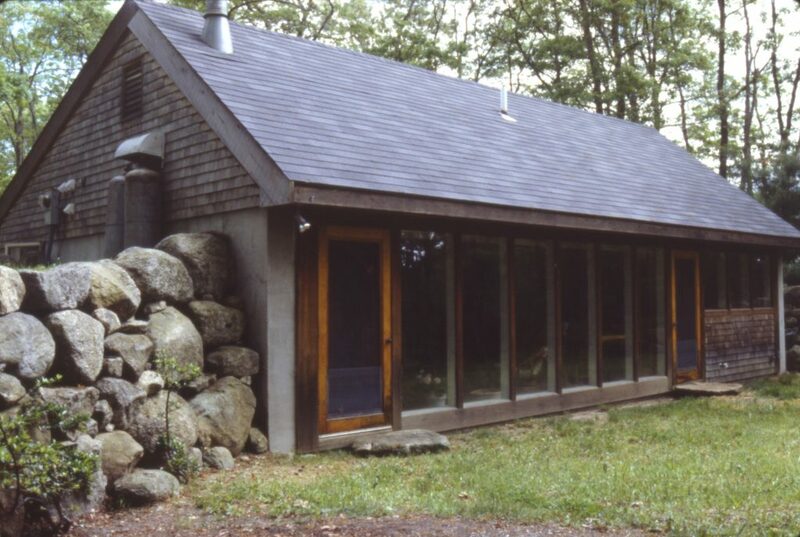 In 1980, when she was 59 years old, we designed and built the first home she ever owned – a sweet little subsidized passive solar earth-bermed house in Vineyard Haven for Madeline and her dog. We were excited to receive this bequest. It enhanced our company charitable and pro-bono commitment: each year we give 10% of our net profits to charitable organizations, and an additional 10% to pro-bono work and in-kind donations. Giving away money is fun, it’s rewarding, it makes a difference, and there’s never as much to give as we wish. Many deserving needs go without. We have a foundation (the South Mountain Foundation, now 13 years old), a policy regarding charitable contributions and pro bono work, and a small committee to implement. The committee consists of four of our owners, Derrill Bazzy (chair), Betsy Smith, Ken Leuchtenmacher, and myself. We distribute the majority of our funds to local organizations, with a strong emphasis on Affordable Housing, Local Food, and Renewable Energy. The same is true of our in-kind donations. The remaining funds are distributed to organizations in the following categories: Conservation & Environment, Schools & Children, Health & Social Services, Arts & Culture, and Global Poverty Relief. We also keep a set-aside for emergency disaster relief efforts. We generally target organizations with limited resources rather than those with good fundraising departments and large budgets. Our funds can be most effective that way. In FY 15 (just concluded) we donated approximately $39,000 in cash. Our largest donation was to the Island Housing Trust. Our pro-bono and discounted work this year went to the MV Public Charter School, the Vineyard Playhouse, the Aquinnah Cultural Center, Martha’s Vineyard Community Services, the Island Grown Initiative’s Thimble Farm, the Farm Institute, and others. Some of this was design work, some was for feasibility studies, and some was construction materials. The SMCo Foundation can also accept and redistribute donations of cash and/or property. We welcome donations from living persons and estates (like Madeline’s) for designated purposes consistent with company values. 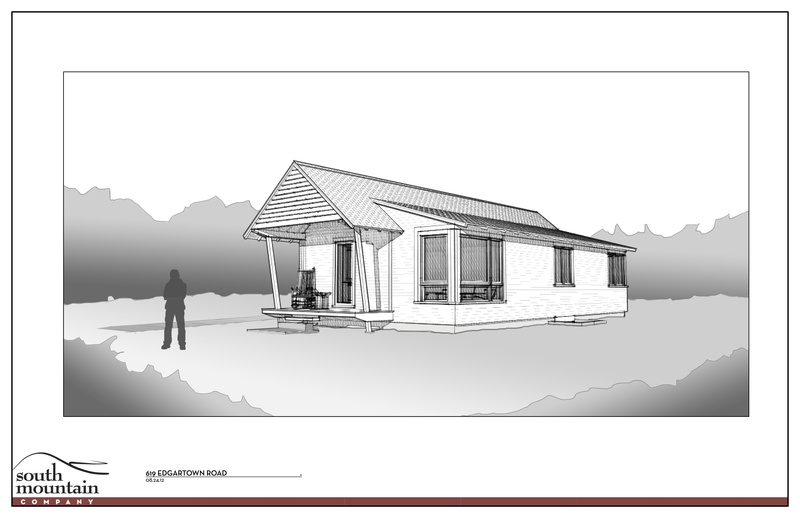 • We designed several versions of a prototype high quality, high performance, zero energy affordable home. We agreed to donate these plans to anyone doing affordable housing as long as they agree to pay small fees for quality assurance – so the houses get built as they’re supposed to. Five houses (three of those subsidized and permanently affordable, for the Island Housing Trust) have been built from these plans to date. More are in development. Here’s a rendering of one. 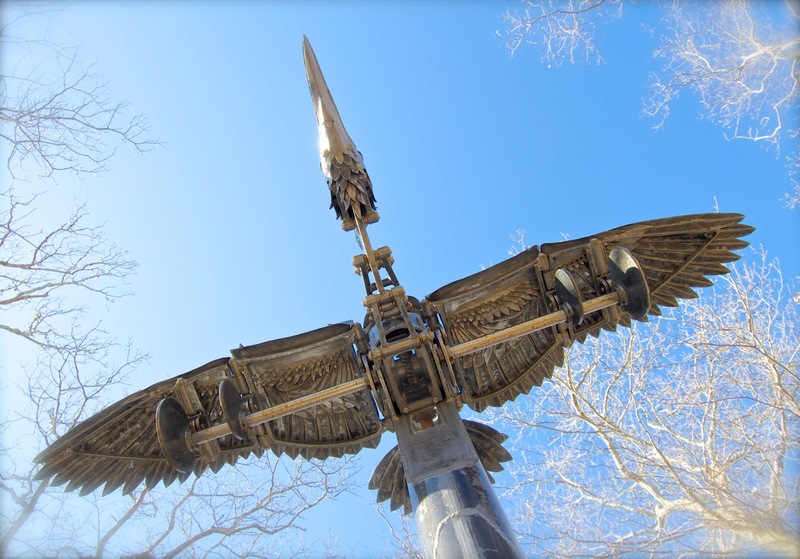 • We commissioned a kinetic sculpture by Tim Laursen called SunBird which is powered by the sun (and by a hand crank, so we humans can see how how feeble we are compared to sunlight!). Soon to be installed in a highly visible location and un-veiled! Here’s a photo of it at its current test site. But mostly the Foundation exists to distribute a part of our profits. Someone once said, “As I give, I get.” This part of South Mountain’s work is about helping to improve both peoples’ lives and the community from which we get so much. It’s one of the ways we give . . . and get. We are grateful for the opportunity.